Timney Triggers, world leader in the production of aftermarket triggers, has donated $500,000 to the Cody Firearms Museum (CFM) at the Buffalo Bill Center of the West toward the CFM’s upcoming complete renovation. No other firearms museum in the country is poised to tell this story in a way that will reach both the collector and the novice. The Buffalo Bill Center of the West is pleased to announce that Timney Triggers has pledged $500,000 toward its Cody Firearms Museum (CFM) reconstruction. The Center recently revealed its plan to fully renovate the CFM. Timney Triggers’ donation combines with several federal grants and high-level individual donations received to date for the project; however, Timney has led the charge in the firearms world as the first substantial industry gift. The Center is privileged to have Timney Triggers’ support of the Cody Firearms Museum renovation project, especially with the company’s rich history as one of the oldest and largest trigger manufacturers in the world. It has produced replacement triggers for more than 70 years, and since its launch in 1946, the business prides itself on the quality of precision machining and workmanship that goes into each and every Timney Trigger. Each trigger is proudly made in the USA and offers a lifetime warranty. The CFM is planning a two-floor renovation that caters to both firearms enthusiasts and the general public. This museum will boast more than 4,500 firearms on display, Steel Challenge simulators, and additional hands-on interactive displays that teach people not only about how firearms changed throughout history, but why they’re significant to our cultural heritage. For questions regarding the renovation, please contact Curator Ashley Hlebinsky at the email address above, or call 307-578-4048. 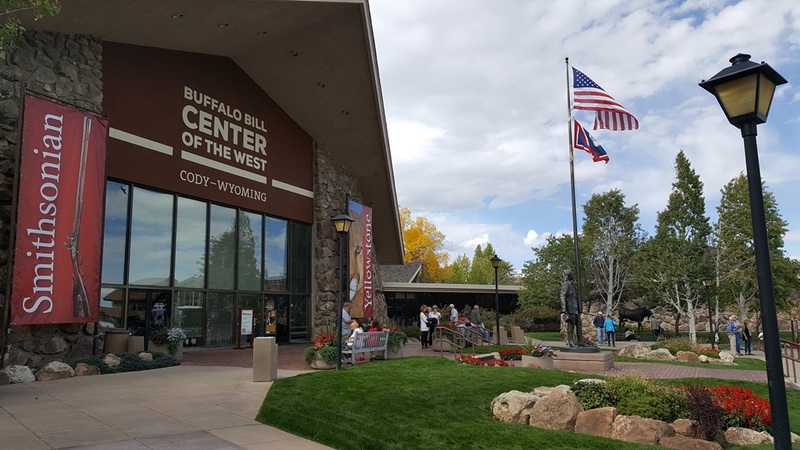 Since 1917, the award-winning Buffalo Bill Center of the West in Cody, Wyoming, has devoted itself to sharing the story of the authentic American West. The Center, an affiliate of the Smithsonian Institution, is open daily 10 a.m. – 5 p.m. through November 30, and then begins its winter schedule on December 1. For additional information, visit the Center's website, or its pages on Facebook, Twitter, and Google+.